Located on the a subpeak of Cannon Mountain known as Mt. 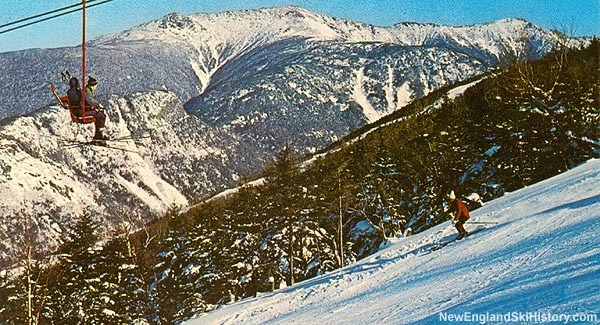 Jackson (also known as Mittersill Peak), Mittersill was once a groundbreaking ski area. Following its storied operational history, Mittersill sat idle for nearly 3 decades. It was incorporated into Cannon Mountain ski area in 2009. 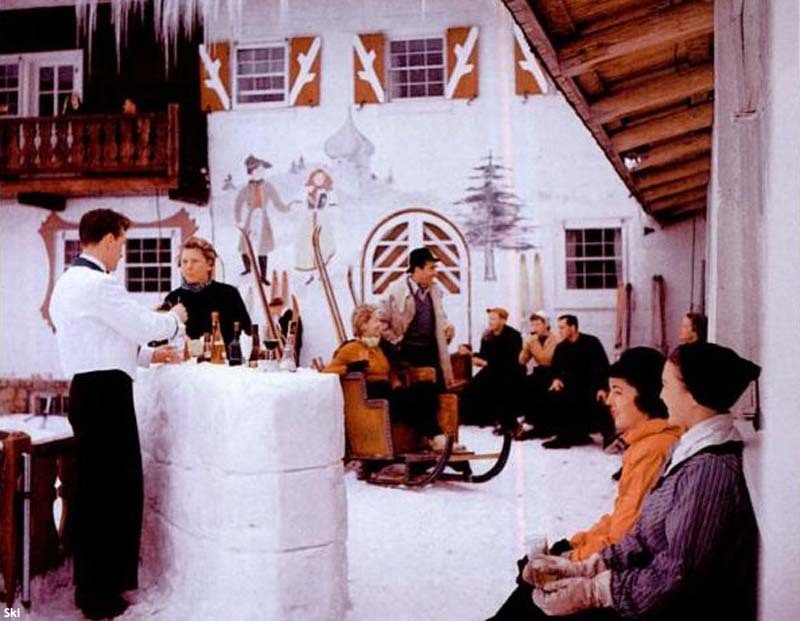 The roots of Mittersill date back to the winter of 1939-40, when Baron Hubert von Pantz began advertising an Austrian Tyrolean ski lodge and village called Franconia Mittersill. The development was deeply rooted in skiing and mountain sports, as it was located near the foot of the storied Richard Taft Trail, down the road from the Cannon Mountain aerial tramway. Lift served skiing at Mittersill proper started in February of 1942, when the Baron opened 1,250 foot long rope tow on a newly cleared slope a quarter of a mile from the end of the Richard Taft Trail. Advertised as the highest elevation rope tow in the East, the Mittersill operation could be accessed via road from Franconia Notch or via a two-mile sleigh ride from Easton. Following World War II, Mittersill began to hit its stride. A new T-Bar was installed for 1946-47, moving it to major ski area status. Meanwhile, a skating rink was opened, as well as a restaurant. As the 1950s started, Mittersill was a happening place. A new road (cutting off the finish line of the Taft Trail), provided easier access to the resort, contributing in part to record crowds in times of good snow. 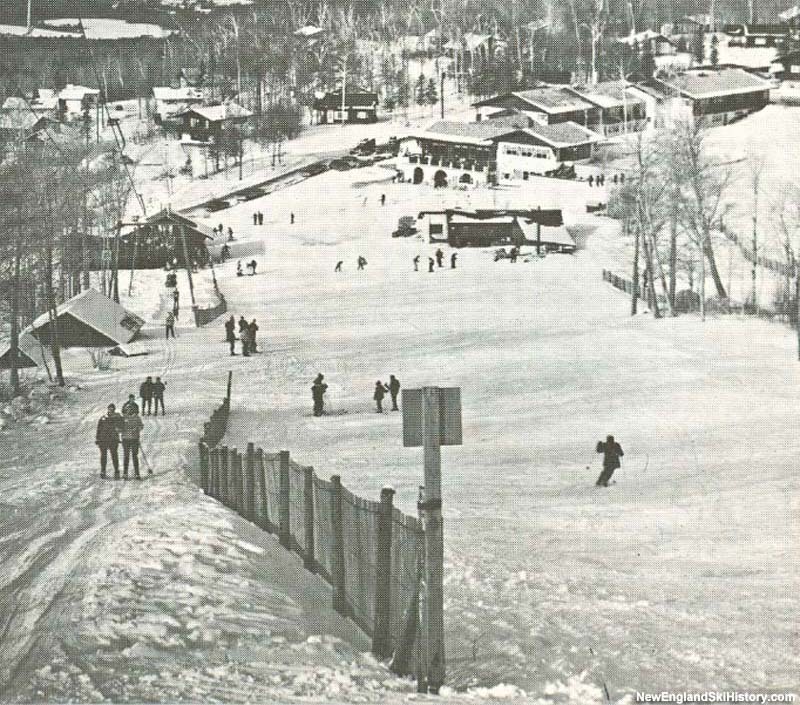 In addition to skiing, skating, and dancing, interesting winter events were based out of the resort, such as tennis on the skating pond and auto racing on nearby Echo Lake. Such attractions were critical to the inn, as the winters of 1948-49, 1949-50, and 1950-51 had significant periods of minimal to no snowpack. In addition, the wind exposure of the area often blew the trails clear of snow. A November 1950 windstorm claimed the roof of the Mittersill hotel, reportedly sending it 100 feet above the trees. General improvements were made circa 1955, including a new cocktail lounge, expanded dining room, new rooms, and improved ski trails. For 1956-57 season, a connecting trail was cut to Mittersill from the recently opened Peabody Slopes at Cannon. After having no skiing for significant portions of winters in the late 1940s and early 1950s, Mittersill installed snowmaking for the 1957-58 season. The new installation allowed for a mid-December opening in 1957, despite minimal snowfall at that juncture. At the dawn of the 1960s Mittersill underwent a significant expansion. Skiable acreage was boosted by 50% to 60 acres when the vertical drop of the area was increased, thanks to the installation of a second T-Bar. Using leased state and federal land, the $150,000 project was designed by local Sel Hannah. While Mittersill was poised for another expansion shortly thereafter, the New Hampshire Department of Resources and Economic Development, operators of Cannon Mountain, refused to grant permission. Meanwhile, Cannon was undergoing a significant expansion. In an exchange of words at a hearing in the spring of 1963, a frustrated Baron Hubert von Pantz declared, "if the state doesn't want to cooperate with private enterprise, then why not buy it out. I'm prepared to sell." After some legal wrangling, Mittersill finally proceeded with its expansion in 1966. A 3,982 foot long Hall double chairlift was installed, increasing Mittersill's advertised vertical drop from 800 feet to 1,500 feet. Mittersill's snowmaking investment once again paid off, as it was able to operate that December while Cannon unsuccessfully attempted to seed clouds via airplane. For 1967, a five story, $700,000 main building was constructed. The legendary Baron's Run was cut the following season. Also in 1968, Mittersill lost its corner on the man made snow market, as the state installed a $544,000 snowmaking system at Cannon. Now that he was spending time redeveloping his Mittersill area in Austria, Baron Hubert von Pantz sold his stake in the New Hampshire Mittersill in the spring of 1972 to his stepson David McConnell. Heir to the Avon Products fortune, McConnell was also part-owner of the Boston Patriots football franchise. While 1973-74 was a rough season across New England, Mittersill in particular was hit hard. Unable to open the chairlift much at all due to warm temperatures and minimal snowfall, employees resorted to hauling snow from the woods onto trails. Ski operations shut down during the first part of March. As the 1970s progressed, Mittersill's inn was closed on an increasingly frequent basis, due in large part to high energy costs. Winter operations of the inn ceased in 1976, while the ski area was cut back to weekend and holiday operations. In 1978, McConnell and co-owner Robert Wettenhall decided to convert a wing of the inn into timeshares. Ski area operations continued to diminish in the 1980s, thanks in part to multiple bad winters. The National Forest permit expired in 1984, thus ending the independent Mittersill ski operation. Efforts to incorporate Mittersill into Cannon ramped up as the 1980s progressed. After acquiring some privately held land near the bottom of the area, the state pushed to either get a National Forest use permit or landswap for the rest of the Mittersill ski area land. Meanwhile, the Mittersill trail network was becoming a legendary sidecountry/backcountry destination. After years of negotiating, Mittersill was incorporated into Cannon Mountain ski area in 2009 via a landswap with the National Forest, on the condition that the original trail footprint would be honored. 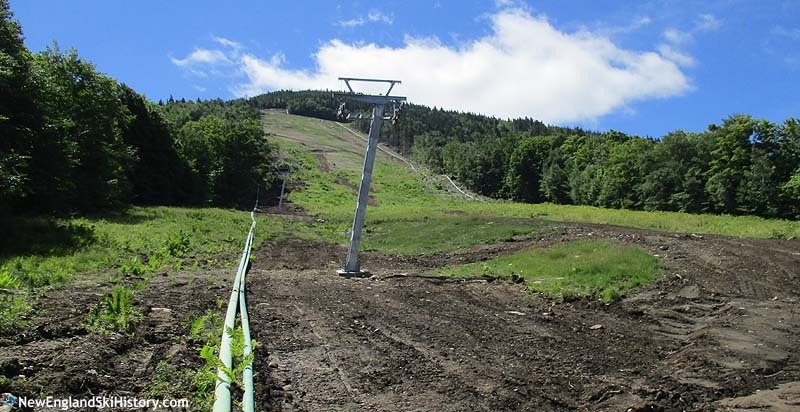 On the eve of the landswap, Cannon Mountain General Manager John DeVivo was quoted in The Boston Globe as saying, "I can't overstress the fact that it's going to remain rough," and that "once we do clear-cutting or full-blown grooming, you can't go back." The backcountry emphasis of Mittersill was then gradually phased out. 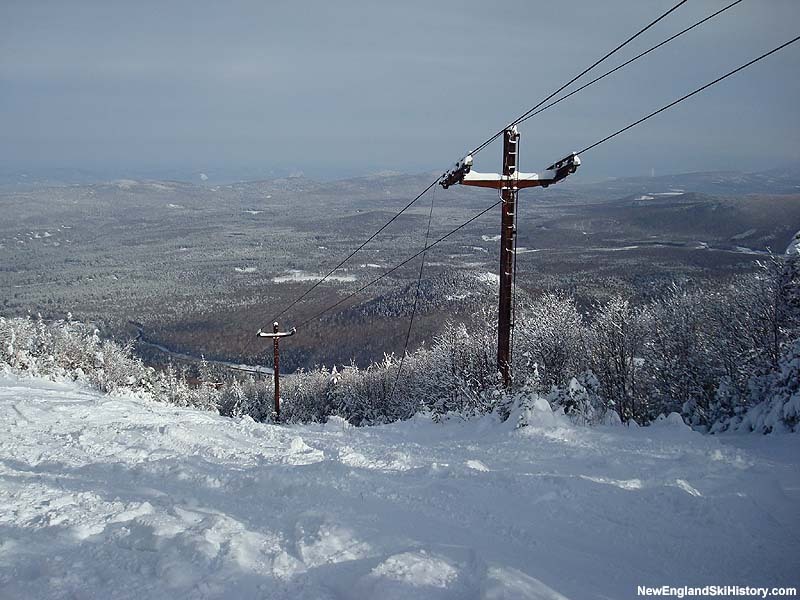 A new $3 million double chairlift replaced the old Mittersill chairlift, opening on January 1, 2011. With this opening, all uphill traffic was formally banned year round, including backcountry skinning for 'earned turns.' Trail grooming at Mittersill then debuted on February 11, 2011. As a consequence of the new lift and uphill traffic ban, Mittersill remained formally closed for all but 5.5 days of the 2011-2012 ski season. That off-season, the Mittersill Racing Expansion Proposal was quitely released. In exchange for privately funded assets, the project would convert Mittersill into a state funded, semi-private racing facility. The proposal significantly widens the Baron's Run, as well as creating a new, wider superslope that runs the length of the former (and to be replaced) longer T-Bar. In order to expand beyond the original footprint of the Mittersill trails, the state waived itself of Bicknell's Thrush habitat restrictions by placing nearby land in protection. Significant trail cutting and widening has taken place in 2014 and 2015. "HA ! The B&W photo looking down the t-bar lift brings back fond memories. Born in Littleton in '53, and starting skiing at 3 years old on Mittersill. My folks built and ran Flintlock Lodge near the bottom of 3 Mile Hill on route 18. I was there every weekend, and on vacations from Franconia Elementary, which was then located in the Dow Academy building." "I went to Cannon with a friend in 2000 or so, with my then 10 year old son. We rode the tram to the Cannon summit and hiked across the Saddle and then snowboarded down the abandoned trails at Mittersill. We went too deep (missing the cutoff to get back to Cannon trails) and I recall trudging through the woods to get out. We did it at least one more time, correctly, and really had a great time overall. The trees were untrimmed, mostly, so it was tight through what is now the Mittersill Chair liftline, but it was fun. " "I was there in the early 70'.I was 11 years old.My sister and I took a ski lesson on the bunny hill.what a great time at Mittersill! Then we went to cannon and went up on the tram.Wwwwow,the best time ever.I recommend Mittersill the best time.I wish someday to visit again. "